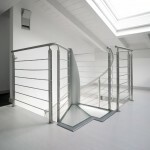 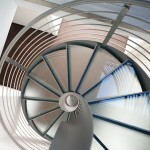 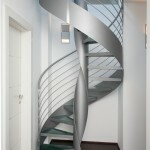 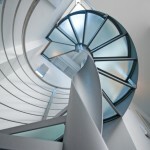 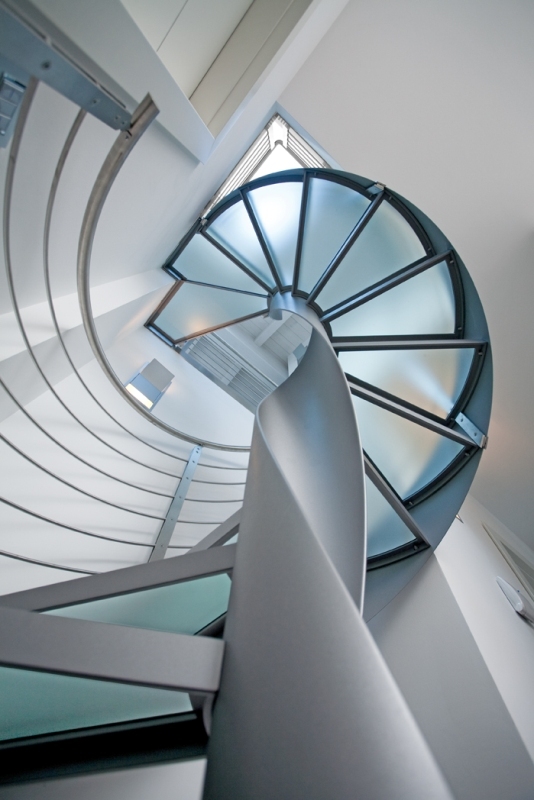 Round-based glass and iron spiral stair with steel structure. 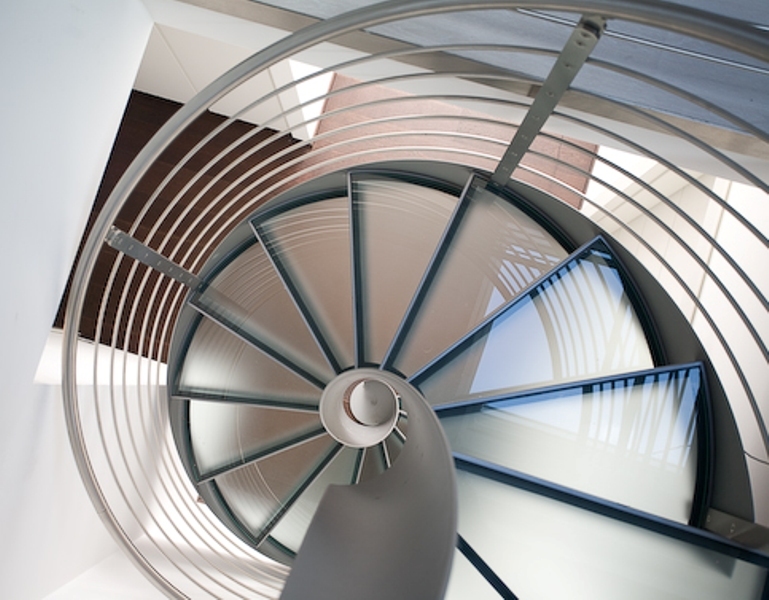 Layered glass tread, natural etched finish with steel outer frame. 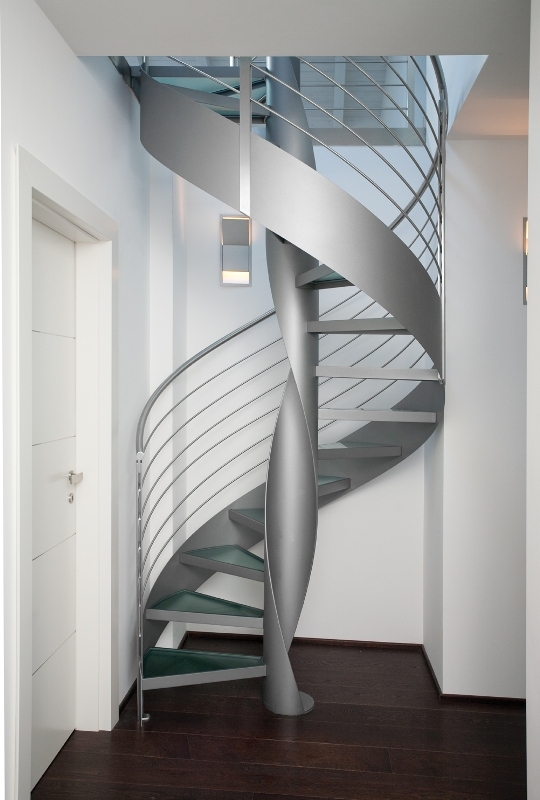 AIR6C INOX banister: 5 satin-finish stainless steel rail, satin-finish stainless steel handrail, spindles with stainless steel double plate. 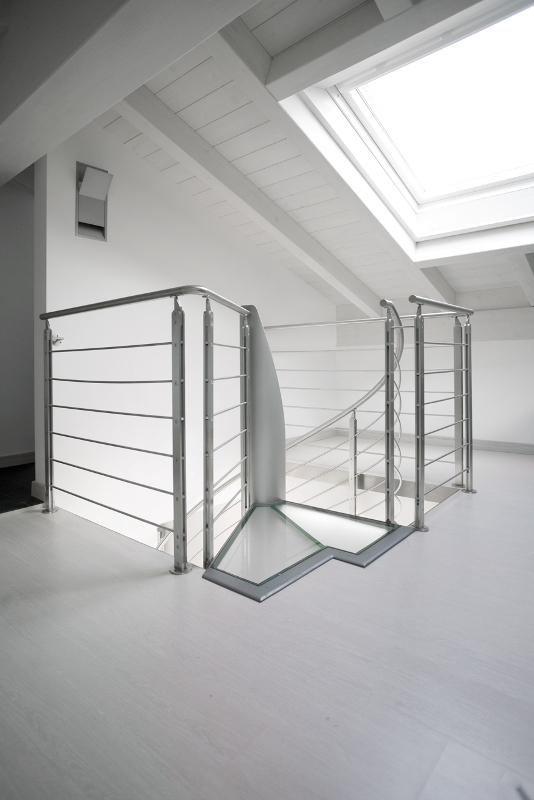 Landing step as per drawing. 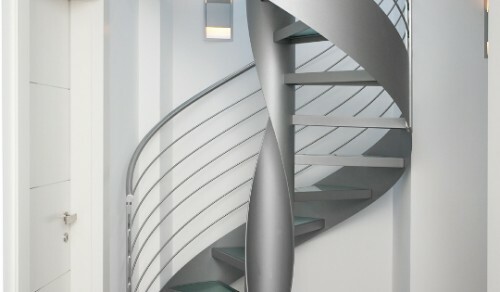 AIR6C INOX upper balustrade: 5 satin-finish stainless steel rails, satin-finish stainless steel handrail, spindles with satin-finish stainless steel double plate.